David has a Associates Degree from Central Piedmont Community College and is currently at Queens University working on his B.A. Degree in music with a concentration on classical guitar. He has performed professionally since 1994. 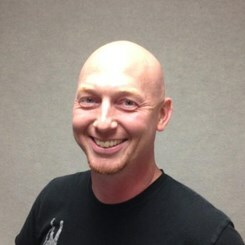 He has been teaching since 2009 specializing in music theory, rock/metal, classical and music composition. David states.........."Practice, performance and ability are all a result and reflection of the hard work and dedication put in by the student and teacher. Whether learning music for fun or as a career, private lessons will help the student achieve their full potential and become the musician they truly want to be." Request Lessons with David Patrick today!